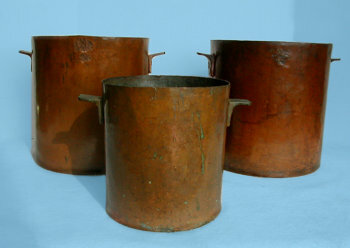 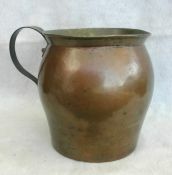 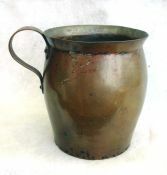 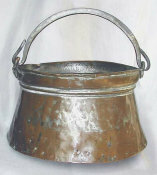 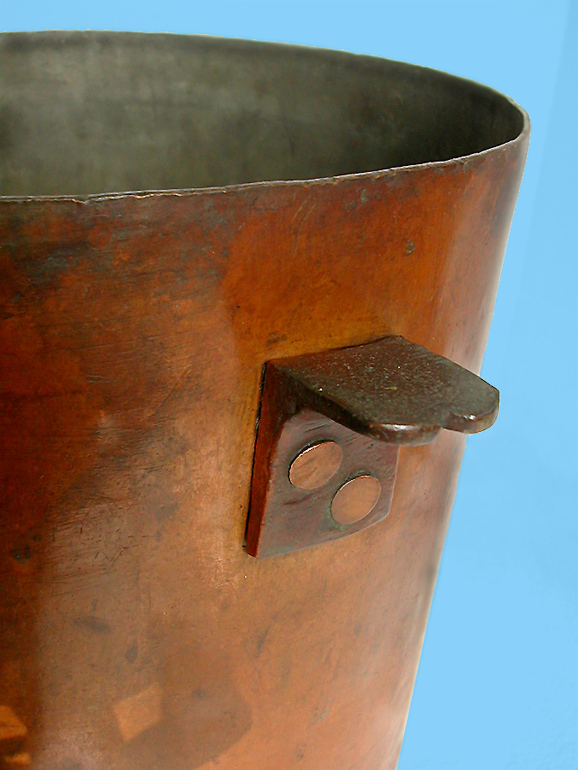 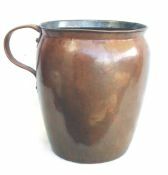 Set of Three copper cooking pots c. 1900. 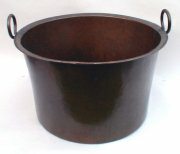 2 large stand 10 1/2" tall with a diameter of 10 1/4". 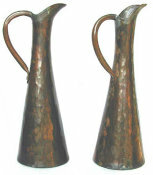 Dimensions: The smaller one stands 8" tall with a Diameter of 7 1/4"